With one of the most highly anticipated albums of the year, Pale Waves are changing the face of pop music. Before they had even released an EP, Pale Waves found themselves warming up a sold-out crowd at Madison Square Garden last summer. The U.K. goth pop group exploded onto the scene with “There’s a Honey,” an impressively self-assured single produced by none other than Matty Healy of The 1975. It was Healy who pulled Pale Waves out of Manchester and into the Dirty Hit family, opening them up to the label’s most vital resource: its devoted fanbase. Thanks to one of the best choruses of the year, and the gathering power of The 1975’s massive audience, “There’s a Honey” placed Pale Waves on the fast-track to success. Pale Waves continued to captivate listeners as a sensational singles band – after “There’s a Honey” came “Television Romance,” “New Year’s Eve,” and “My Obsession,” each one dripping in ’80s dream pop nostalgia. The raw, honest energy of this band was unlike anything on today’s airwaves, but critics were skeptical of their ability to achieve musical longevity, even making accusations of lazy songwriting and stylistic similarities to their mentors and labelmates in The 1975. Could such an unconventional group continue making that iridescent, indulgent indie pop sound? After such an expedient rise to the top, could Pale Waves keep the momentum going? 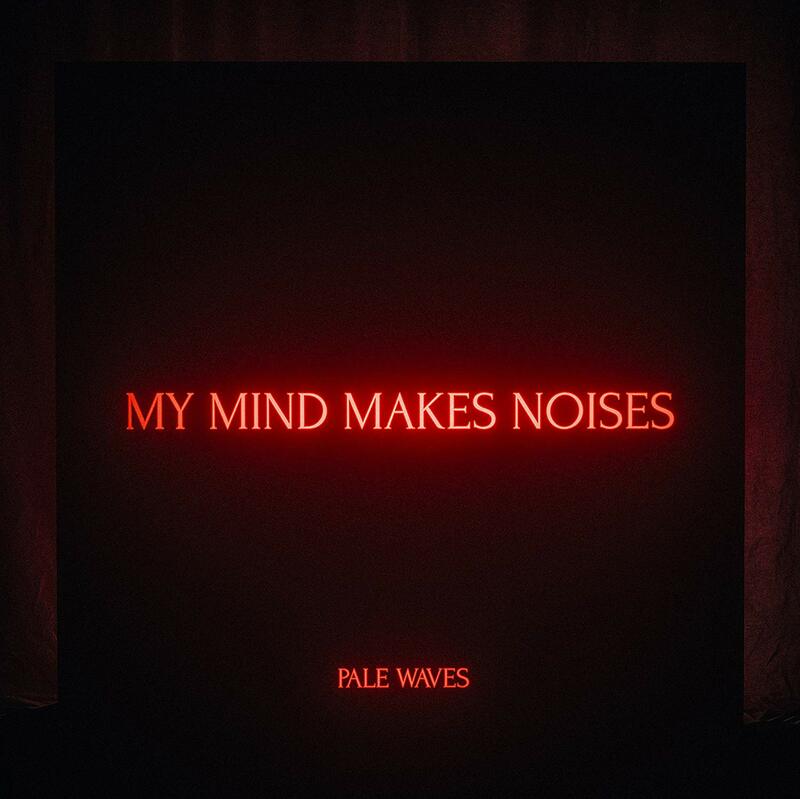 With the release of their debut record, My Mind Makes Noises (September 14, 2018), Pale Waves succeed by defiantly remaining true to the very sound that thrust them into the spotlight. The growth of this band is a testament to the impact of social media in the modern music industry. Without the energizing power of fans online, Pale Waves’ career could look very different from their current reality. Fans were quick to latch onto the band’s entire package – the shimmering guitar pop sound, the mod-goth aesthetic, the pure, unadulterated emotion packed tightly into each and every verse. Tinged with themes of romantic anxiety and growing pains, My Mind Makes Noises is an album for the modern twenty-something, awkwardly situated between dreams of adulthood’s promise and the eventual uncovering of its not-so-shiny reality. Singer Heather Baron-Gracie brings a swell of personality and empathy to the table through her confessional songwriting, whether she’s swimming in self-doubt on “Noises” or honoring the memory of her late grandfather on the aching album closer, “Karl (I Wonder What It’s Like to Die).” There’s a certain level of maturity that makes itself heard in the vulnerability of these songs, especially when contrasted against the energetic and effervescent singles we’ve all come to love. Over the last year, Pale Waves have grown from little-known underground openers to high-powered headliners with unlimited potential. My Mind Makes Noises is more than just a compilation of the band’s earliest hits; it revitalizes these older songs with new life in the company of more challenging tracks. “Television Romance” still sparkles, but “Came In Close” elevates that glitter-ball drama to a new level. “Kiss” exists in that dreamy, 80s rom-com headspace – a modern take on Robert Smith’s most romantic cuts – but “Red” burns brighter. Everything is magnified, from the resounding synths to the emphatic, danceable hooks. 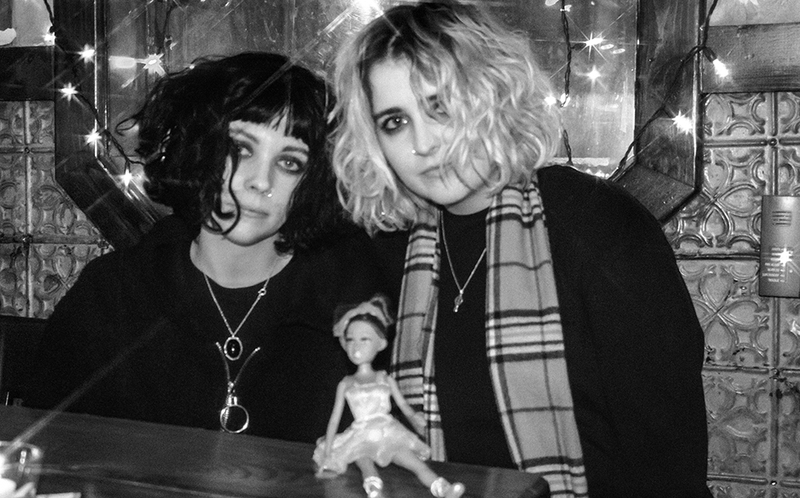 Despite their deeply-rooted connection to the new wave sound, Pale Waves challenge the conventional expectation of the type of artists who make pop music. There’s something so refreshing about their look – dark and gothic, but playful and young. It’s intentionally defiant without feeling like a gimmick. Pale Waves are nothing if not unique, but their greatest strength is their commitment to being themselves. My Mind Makes Noises is the result of brutal honesty, emotional exhaustion, and the stubborn belief that art knows no boundaries. Meredith is a Fordham alum and aspiring entertainment writer, currently working at DoSomething.org. Her interests include iced coffee, record stores, intersectional feminism, and the "Queer Eye" reboot. Wants to be Leslie Knope but is probably April Ludgate.